When I was in my teens, we tried to pick up Summer jobs during our school vacations to supplement our allowances. The ideal job was at Dad's company office (good pay, indoor work), followed by government jobs like being a lifeguard or working at the recreation center (good pay and conditions), followed by manual labor jobs. Back then, kids were not often employed in retail or restaurants, as these were mostly well-paying jobs with full time employees - hard to believe but it's true. Needless to say, I usually ended up with the manual labor jobs like delivering telephone books or helping make truck deliveries in sweltering heat for minimum wage. I envied those cool kids sitting there on the lifeguard stands in their bathing suits and sunglasses watching the girls and occasionally yelling out to some kid "no peeing in the pool!" Nowadays, they obviously cannot get local kids to be lifeguards. 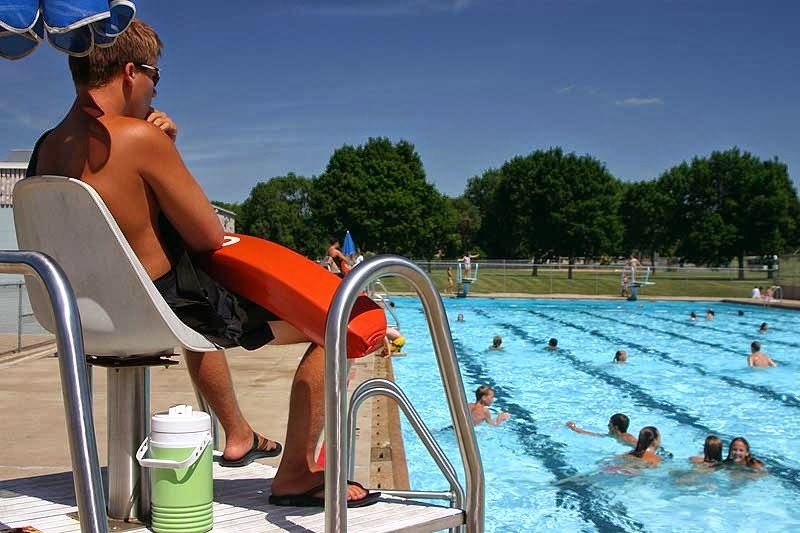 Our community pools are primarily staffed with students flown over from Eastern Europe. A company in the US recruits them, flies them over and back, puts them up in rented apartments, rents bicycles to them, and pays them. Every day after 8pm I see them all in their company uniforms (red shorts, white tops) riding their rented bikes (with asset stickers from the company) back to the apartments and talking in accented English. I don't begrudge them the jobs, someone has to do it if you cannot get locals, and I am sure it is a lot of fun. But it does seem strange.